Morrison & Foerster LLP has a piece regarding the new Proposition 65 rules. If you own or manage any properties these rules are very important to know and follow properly. 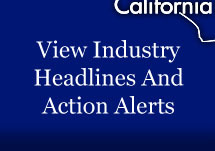 The article entitled “WARNING: California Adopts New Proposition 65 ‘How to Warn’ Rules” can be found by clicking here.